This course explains how to relate classroom assessments in all grades and subjects to content standards. It provides examples of grading systems that show students' academic progress, and how to use them to encourage students to learn more. The course looks at report cards and the future of Standards-Based or Topic-Based Schooling. Educators will develop a written application essay or lesson/unit plan and a research review. They may develop lessons, or activities for classroom applications that utilize the assessment or concepts described in the book. Educators will be presented with the rational for changing traditional classroom grading for the new era in standards education and improving student assessments. Participants will review the role of standards how to design new classroom assessments for alignment with state standards. Educators will be given examples of alternative scoring systems and techniques to compute grades that reflect standards-based and topic-based schooling. 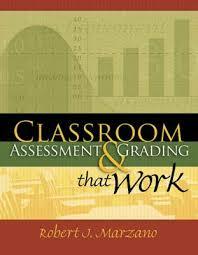 Participants will be encouraged to utilize the book information to revising grading techniques and practices and also begin the transition of grade transformation in their classrooms. Educators will be able to develop assessments that encourage learning and begin looking at report cards of the future for Standards-Based or Topic-Based Schooling.